Dr. Ida-Lorraine Jules Wilderson passed away on Friday, Jan. 25 in her Minneapolis home. Born Feb. 10, 1932 in New Orleans, Wilderson was 86 years old. Having graduated from Xavier University Preparatory School (now known as St. Katharine Drexel Preparatory School), she attended Xavier University in New Orleans, taught four years in the Orleans Parish Public Schools, then went on to study at the University of Chicago. After that, she obtained her master’s degree in child development from the University of Michigan. She received her doctorate in educational psychology from the University of Minnesota. Wilderson was a coordinator with the Minneapolis Public School Department of Special Education, as well principal of many of the systems' schools. She was also a child development specialist in the Greater Minneapolis Daycare Association. Upon retiring from the Minneapolis Public Schools, she practiced as a licensed clinical psychologist alongside her husband. 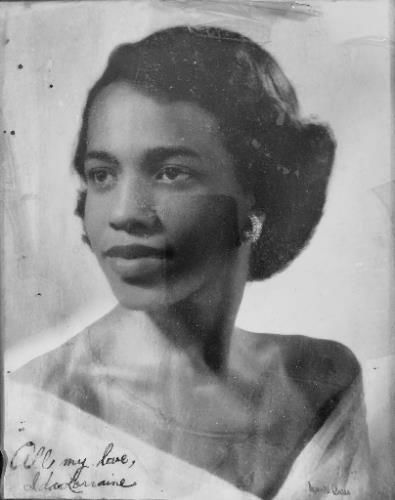 She was a founding member of the Minneapolis-St. Paul Chapter of the Links, Inc.; a member of the Alpha Kappa Alpha Sorority, Inc., president of both Minnesota and Minneapolis chapters of the Ladies Auxiliary of the Knights of Columbus; Twin Cities Chapter of Jack & Jill of America; a board member of the Friends of the Minneapolis Public Library, board member of the Overseers for the St. John's University School of Theology and Seminary, a member of the Twin Cities Motorhome Camping Club and a board member of Catholic Charities of the Archdiocese of St. Paul and Minneapolis. She and her husband were co-chairs of the Archdiocese Annual Catholic Appeal and she was a member of the League of Women Voters, vice president of the Minneapolis Urban League and a member of the NAACP. Wilderson traveled extensively with her family throughout the U.S., Europe, Russia and Asia, giving talks on child development and education. She is predeceased by her parents, Emily and Henry Jules, Sr., and her five siblings, Adrienne Jules Young, Linda Jules Adams, Inez Jules Davis, Henry Jules, Jr. and Weldon James Jules. She is survived by her husband of 63 years, Dr. Frank Benjamin Wilderson, Jr. She is also survived by her son, Frank Benjamin Wilderson, III, daughter, Fawn Elizabeth Wilderson, daughter, Amy Althea Cousin (Tyrone Cousin) and son, Wayne Henry Wilderson, six grandchildren and two great-granddaughters. There will be a visitation Feb. 22 4 p.m. – 8 p.m. at Estes Funeral Chapel, 2201 Plymouth Ave. N. Minneapolis. The funeral takes place Feb. 23 at 11 a.m. at The Basilica of St. Mary, 1600 Hennepin Ave., Minneapolis. In lieu of flowers, the family ask to consider donating to the St. Vincent De Paul Shoe and Coat Ministry at The Basilica of St. Mary or Xavier University of Louisiana.